Imagine you’ve stepped inside one of those foodie television shows. You know, the ones set in fine dining restaurants where waiters and sous chefs dash around the kitchen at a frenetic pace, calling out food orders, and tasting dishes in hopes they will live up to the executive chef’s exacting palate. The executive chef moves through the kitchen and is clearly in charge of the action. Maybe the chef you’re imagining is barking orders at subordinates. Maybe they’re appraising the kitchen with a cool eye. Now, imagine you’re in a different type of kitchen—a kitchen in the “typical” middle-class American home. In this setting, the “chef” is grabbing food out of the refrigerator and, instead of sous chefs, young children are whipping around the kitchen talking about soccer games and piano lessons that have to be worked into everyone’s schedule. Instead of worrying about earning another Michelin star or impressing a food reviewer, this “chef” is just trying to get dinner on the table for the family. In the two scenarios above, what genders did you imagine for the chefs? If you’re like most people, you probably pictured the professional chef as a man dressed in a white jacket and toque while the second scene may have led to visions of harried mothers, perhaps still in the clothes they wore to work, frantically trying to get dinner on the table for her family. 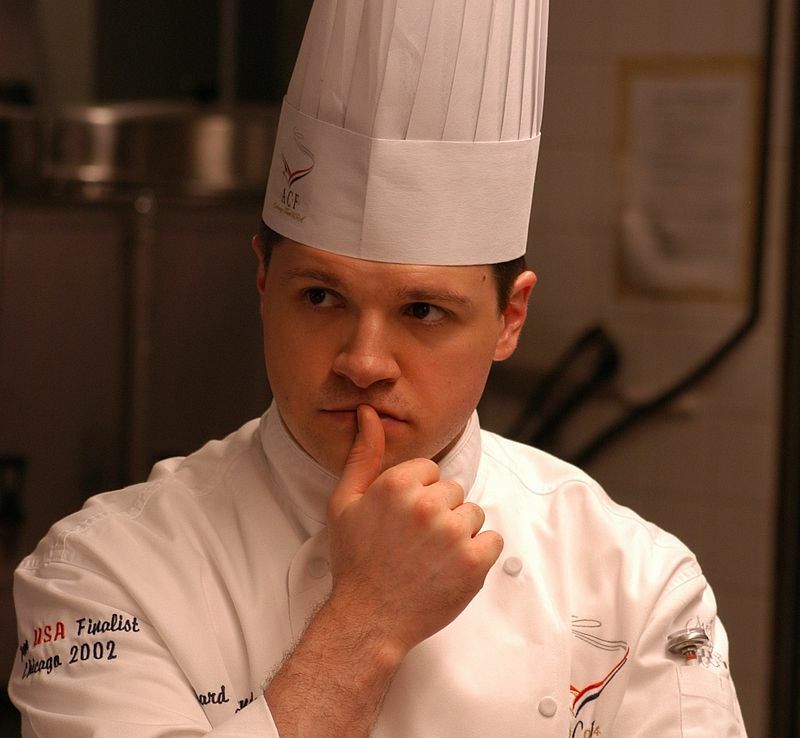 There’s good reason for thinking that way—the world of professional chefs is extremely male dominated. According to the Bureau of Labor Statistics only 20% of head or executive chefs are women; yet, within the home, women still do the lion’s share of food work. How is it that cooking becomes redefined from a feminine activity to a masculine one as we move from the home into the professional kitchen? We decided to explore these questions in our new book, Taking the Heat: Women Chefs and Gender Inequality in the Professional Kitchen (Rutgers). We traced the history of the occupation, interviewed 33 women chefs about their work, and analyzed over 2000 chef profiles and restaurant reviews in newspapers (New York Times and San Francisco Chronicle) and magazines (Food and Wine and Gourmet) to better understand the forces shaping the career’s lack of gender integration. The occupation of professional chef arose in France following the Revolution. It was a strictly male career that was seen as manual labor with low status. 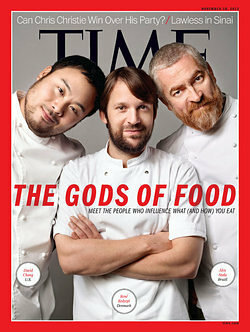 Early chefs worked hard to change this perception and for people to view chefs as highly trained professionals. Part of this process involved excluding women from the career—as jobs held by women tended to be seen as lesser in status—and even denigrating the home cooking of women so that the more, rational, educated cooking of men professionals would earn more prestige. Even today women’s cooking is still downplayed and even traditional “feminine” cooking, such as farmhouse cooking or the use of cheap cuts of meat to stretch family food budgets have been appropriated and rebranded as “farm-to-table” and “nose-to-tail” cooking with food media outlets praising men chefs for their “trailblazing” approach to food. Women chefs we interviewed described the challenges of trying to fit in and gain respect in professional kitchens. They detailed many barriers in getting hired in professional kitchens, fitting in with masculine workplace cultures, and working their way up the kitchen hierarchy. Throughout the interviews we see the common refrain that women chefs must prove themselves worthy of their positions—both in terms of skills and ability to assimilate into kitchen teams. Women chefs had to be physically strong, as well as emotionally tough when faced with the teasing and sexual harassment that was prevalent within professional kitchens. In contrast to men chefs who could be more demanding (and without penalty), women chefs found that they walked a fine line when trying to lead. According to the chefs we interviewed, women in professional kitchens could choose to be “bitchy” by adapting a masculine style of management or “girly,” which was used to describe women who relied heavily on their femininity and “niceness” in order to get what they wanted. Neither of these routes guaranteed the respect of coworkers. Several of the women reported taking a third route: that of “mom” or “big sister” to their male coworkers. While these styles of leadership could be seen as limiting women chefs, many actually saw them as a positive and contrasted their style of leadership with television portrayals of negative leadership (like that of Gordon Ramsey). Women chefs we talked to wanted to lead differently and they believed that could change the work subculture of the professional kitchen. Despite all the challenges, the women chefs expressed a commitment to their careers. However, over half of the 33 women we interviewed had left kitchen work by the time of our interviews. The main reason for their exits was the incompatibility of restaurant work with family lives. The long hours, little time off, and lack of health benefits made it difficult for mothers to remain in the field. Women who left restaurant kitchens worked as culinary instructors, held positions in upscale grocery stores, or opened their own catering or bakery shops. Each of these culinary jobs allowed them to care for their families and/or offered more health insurance and other benefits. Women who were able to stay in the professional kitchen had either remained childless or delayed having children. For those with children, they relied upon supportive friends and family members who helped with childcare. We found that the process of evaluating chefs also has a gendered component and that different ways of assigning titles of “greatness” to chefs may play a role in women chefs’ ability to earn high levels of prestige in their occupation. In our analysis of chef profiles and restaurant reviews, men chefs were framed as “provocateurs” who challenge traditional cooking while women obtained more accolades when they were “good girls” who stay firmly within culinary boundaries, perhaps by relying on family or cultural traditions. Women chefs were also described as being unmotivated by earning awards or creating restaurant empires. Such depictions helped reinforce the ideas of the trailblazing men chefs while aligning women chefs with more humble goals. We suggest that women chefs can capitalize on the growing attention and status given to chefs to find ways to promote their work and challenge male dominance in the career. 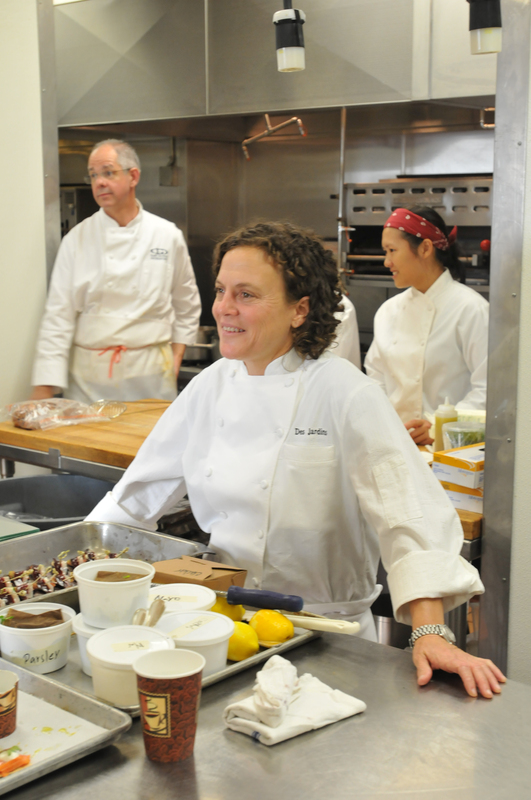 Women chefs can do this by banding together and sponsoring events that showcase their skills. With greater media attention can also come recognition from other culinary organizations like the James Beard Foundation. Women-centered organizations (e.g., Le Dames d’Escoffier) and women chef-centered media (e.g., Cherry Bombe magazine) can also provide an outlet. If enough women come together they can exert pressure to change the industry. Collective groups can ask hard questions of leaders in the gastronomic field, such as: “Why don’t more kitchens offer maternity leave?” or “Why are many women working as sous chef but so few as executive chef?” As sociologists, we are hopeful the occupation can change to increase the number of women. Given recent developments, we are confident that the job of chef will become more gender-integrated as well. Deborah Harris is an Associate Professor of Sociology at Texas State University. Her research focuses on social inequality within the food system. Patti Giuffre is a Professor of Sociology at Texas State University. She conducts research on sexual orientation discrimination and gender inequality at work.